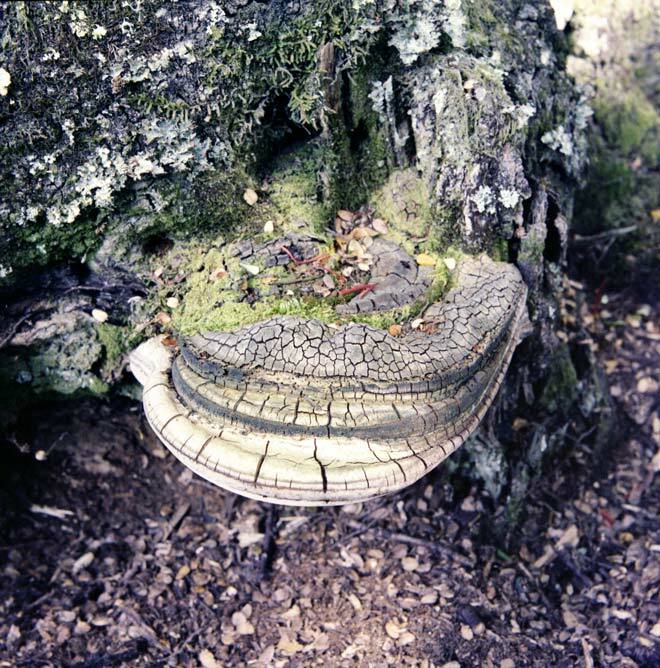 Large bracket or shelf fungi are common in mature forests. Some of their fruiting bodies may grow for many years on the trunks of living or dead trees. Their upper surface is leathery or woody. Like the boletes, they have pores on their undersides. When conditions are favourable, those brackets that grow from one year to the next produce a layer of new tubes on their lower surface, from which spores are released.